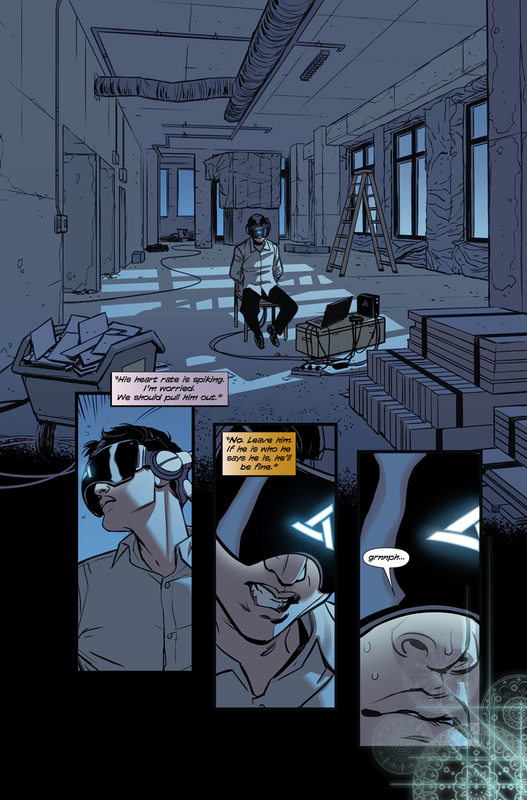 As you can see, the graphic novel is being written and illustrated by Brenden Fletcher, Karl Kerschl and Cameron Stewart, who have previously worked on the other Assassin’s Creed comics as well. I take this as a really good sign since it will help maintain a meta-tonal consistency in the project, so even though the entire setting and character have changed, this should still feel like an Assassin’s Creed project. The interior artwork looks beautiful with attention to detail and some really eye-popping colours and inks. 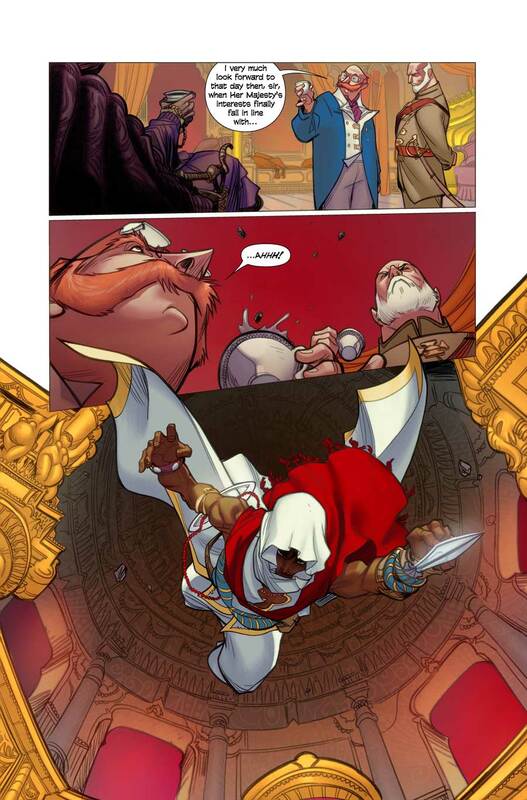 Based on these pages below, the art is certainly not going to be a problem with this book at all. And that’s great. As a friend said to me some time ago, its easier to accept a book with great art and mediocre story than a book with mediocre art and great story. I largely agree with it. In terms of the premise behind the project, I’m a little concerned however. 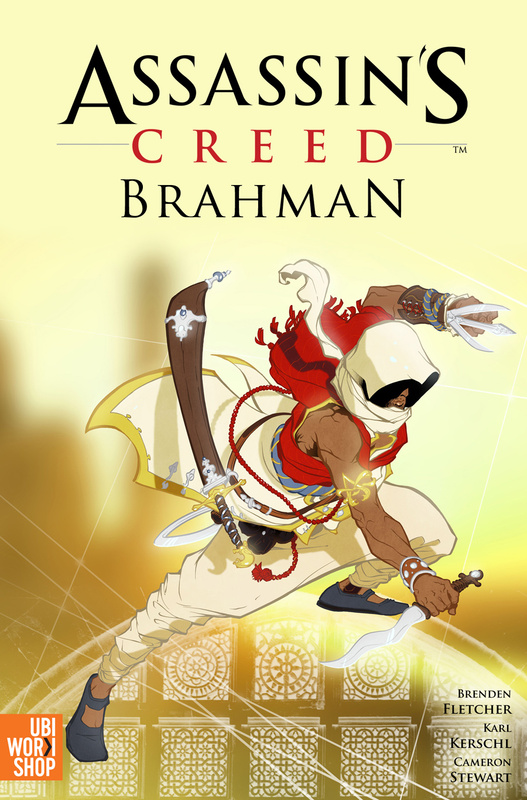 It is titled “Brahman“, which is a Hindu social caste of priests (for the most part) and thus the creators seem to be going for a religious angle here. Which is great. I love to see diversity in entertainment media, whether that be novels, or comics, or movies, or video games, and this is a great step connecting two of my favourite media. 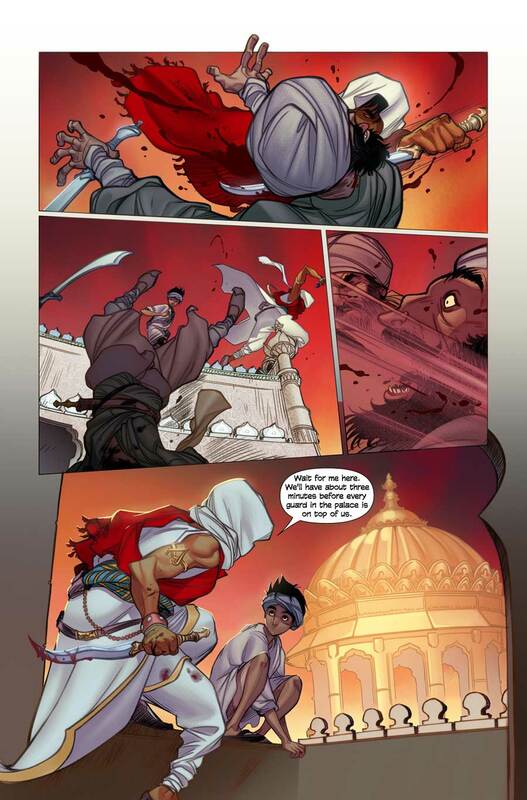 But, the main character is called Arbaaz Mir, which marks him out as a Muslim, and thus a non-Hindu, quite simply. So it should be interesting to see how this dissonance plays out in the full story. 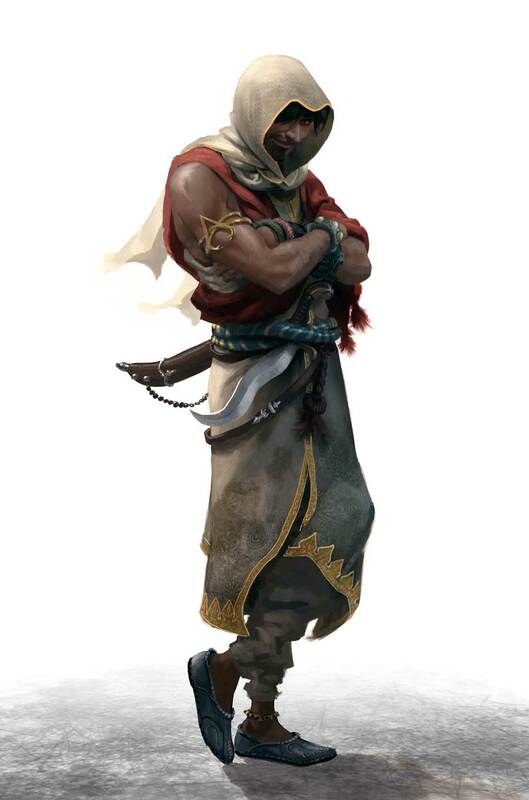 Might Arbaaz’s ultimate target be a high-level priest of some sort? 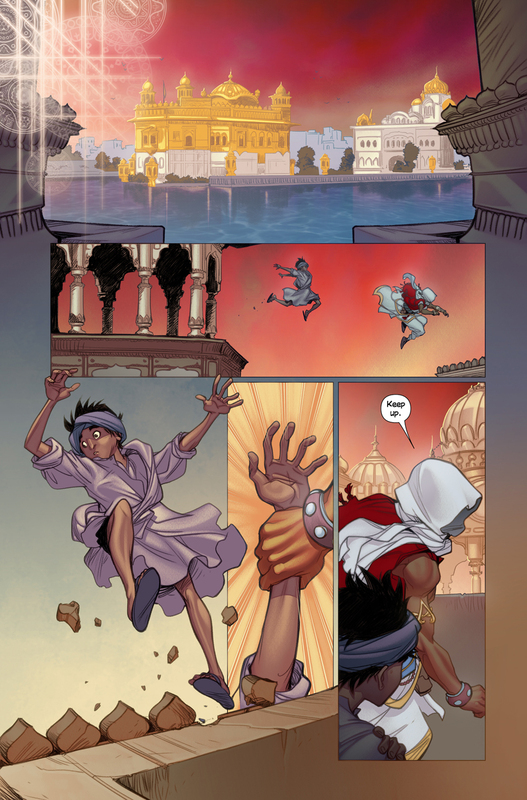 The story bits revealed so far say that Arbaaz is a sort of freedom fighter, in a struggle against British oppression in 19th century India, so I don’t know what kind of angle the creators are going for here. I’m certainly looking forward to finding out for myself. I just wish that there is no religious and cultural faux pas here. That would be a terrible indictment of the entire thing, and I hope that the creators do their research properly with this. Casting non-anglophone cultures in a positive light is not something that western entertainment professionals generally get right, often reducing them to caricatures or putting them in situations. So yes, this is pretty much my only concern at this point. Apart from all that, this is looking like a fantastic project and I’ll definitely be reading it. Wouldn’t miss it for anything! What about you? Are you excited for this? Posted on July 24, 2013, in Comics News, Gaming News, General, News and tagged Arbaaz Mir, Assassin's Creed, Assassin's Creed: Brahman, Brenden Fletcher, Cameron Stewart, Comics, Graphic Novels, Historical Fiction, Karl Kerschl, News, Video Game. Bookmark the permalink. 9 Comments. This looks pretty interesting, and I’ll keep an eye out for it, certainly. 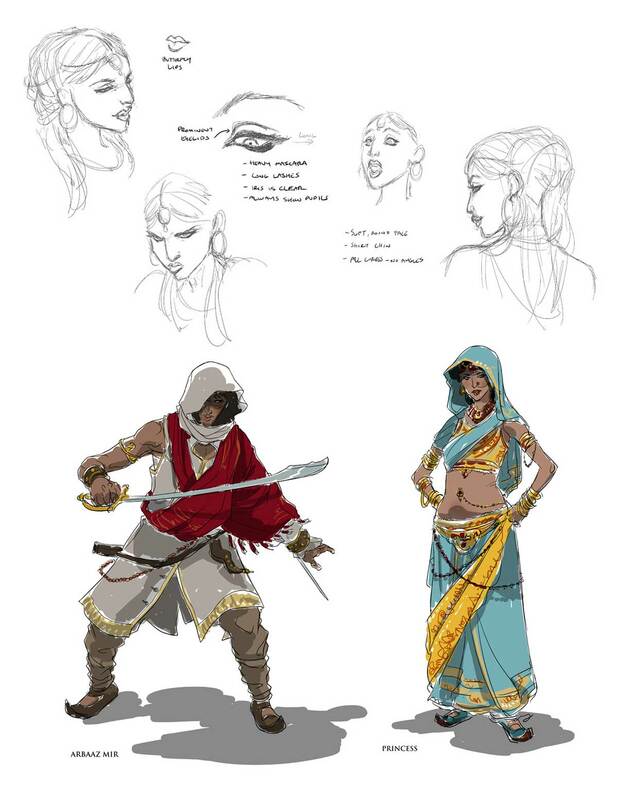 In regard to your concerns about cultural faux-pas and inaccuracies, I wouldn’t feel too worried; the Assassin’s Creed team have a good track record for presenting non-western cultures without simply slipping into stereotypes, and if there’s any non-Indian writer(s) who could get 19th-Century Indian culture right, I’d bet good money on it being them. They are not available for the PC right? Can’t get it then. I don’t have a console. Born as a Muslim, raised as a Hindu maybe? Is that possible? Kind of? I wonder though… perhaps his apprentice is of the Brahmin caste? Could be. Either way, I love Assassin’s Creed, and I seem to learn more about history (loved the third game) than I did at school!